One thousand eight hundred and thirty three dead. Hundreds of thousands displaced, and tens of thousands who have not returned home a decade later. Hurricane Katrina was an unprecedented tragedy of epic proportion. For an editor of the Chicago Tribune to “envy” this disaster as Ms. McQuery did in her opinion piece “Chicago, New Orleans, and rebirth” (Aug. 13, 2015), even by way of metaphor, is extremely offensive. Yes, the storm knocked New Orleans off of its trajectory of slow decline and onto one of rapid reform and great promise. And we have many great successes to celebrate upon the occasion of this tenth anniversary. But we cannot, and must not, forget the costs. Hurricanes Katrina represents a low point in our nation’s history- where we, as the greatest country on Earth, failed many thousands of our fellow Americans. Our own were left to die or barely clinging to any semblance of humanity.Imagine Lincoln Park inundated by a 25 foot storm surge and left to fester under 12 feet of stagnant water. That happened to St. Bernard Parish, an area in my district just outside New Orleans with roughly the same population pre-Katrina as Lincoln Park. The wretched story was the same in many neighborhoods across the region, like the Lower Ninth Ward and New Orleans East, which too were laid waste by flood waters. Picture Lincoln Park without a single home, without a single resident. This is not an enviable situation.But these neighborhoods and other coastal communities have picked up the pieces and are blazing a new, better path forward. The region is indeed thriving due to a recovery and reenvisioning that is being led and undertaken by the people who live here. So Ms. McQueary’s point is well taken. There is a great deal that cities across the nation can learn from how Louisiana’s communities rebuilt after the devastation wrought by Hurricane Katrina. But “wishing for a storm in Chicago” and “hoping for a dramatic levee break” disrespects the hundreds of thousands of resilient people who lived through, and continue to recover from, this catastrophe. I pray your wish never comes true. Do not hope for a disaster. There is enough existing tragedy in the world today to serve as the impetus for change. 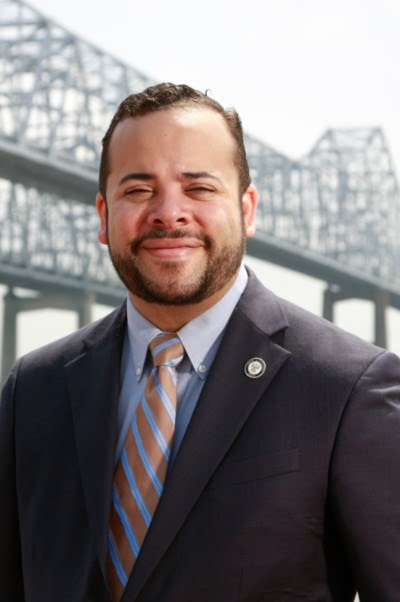 Senator Morrell represents New Orleans, Jefferson Parish, and St. Bernard Parish in the Louisiana Legislature.